LOXL1 is a major genetic risk factor for exfoliation syndrome (ES) and exfoliation glaucoma (EG). Recent evidence documenting reversal of risk alleles for the disease-associated missense variants R141L and G153D suggests that these variants are not causative and that they may be proxies for other unknown functional LOXL1 variants. The purpose of this study was to investigate the disease association of LOXL1 variants spanning the gene region, including the 5' and 3' regulatory regions, in a U.S. Caucasian case-control sample. Twenty-five LOXL1 single-nucleotide polymorphisms (SNPs), distributed throughout the gene, were genotyped in 196 Caucasian patients with ES/EG and 201 matched controls. Genotype data were analyzed for single SNP associations, SNP interactions, and haplotype associations. Promoter region haplotypes that included the risk alleles for rs12914489, a SNP located in the distal promoter region and independently associated with ES, and rs16958477, a SNP previously shown to affect gene transcription, were associated with increased disease risk (P=0.0008; odds ratio [OR], 2.34; 95% confidence interval [CI], 1.42-3.85) and with protective effects (P=2.3 × 10(-6); OR, 0.38; 95% CI, 0.25-0.57). Haplotypes containing rs12914489 and rs16958477 risk and protective alleles also significantly influenced the disease risk associated with missense alleles R141L and G153D. LOXL1 promoter haplotypes were identified that are significantly associated with ES/EG in a U.S. Caucasian population. These results suggest that promoter region SNPs can influence LOXL1 gene expression, potentially causing a reduction of enzyme activity that may predispose to disease. 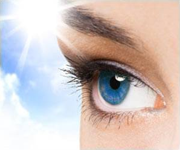 Copyright 2011 The Association for Research in Vision and Ophthalmology, Inc.